After 27 days of availability, Apple’s latest mobile operating system, iOS 7, is on 71.75% of all active devices, according to the latest report, Mixpanel’s widget. iOS 6 currently stands at 24.83%, while earlier versions of iOS are running on 3.42% of all iOS devices, as measured by Mixpanel. 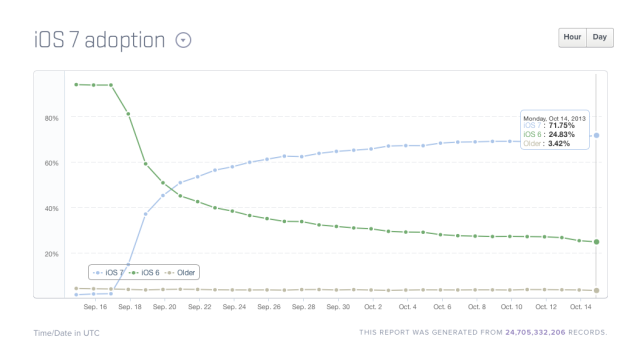 By comparison, iOS 6 had its share of fast adoption last year, but it took 30 days to reach a 61% adoption rate. 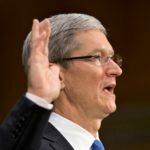 Because Apple is silent on how many of its 700 million iDevices — sold since 2007 — are iOS 7 compatible and in operation, but based on Mixpanel’s chart, the 71.75% of all active iDevices means roughly 250 million iPhones, iPads, and iPod Touches, Philip Elmer Dewitt of Fortune, suggests. 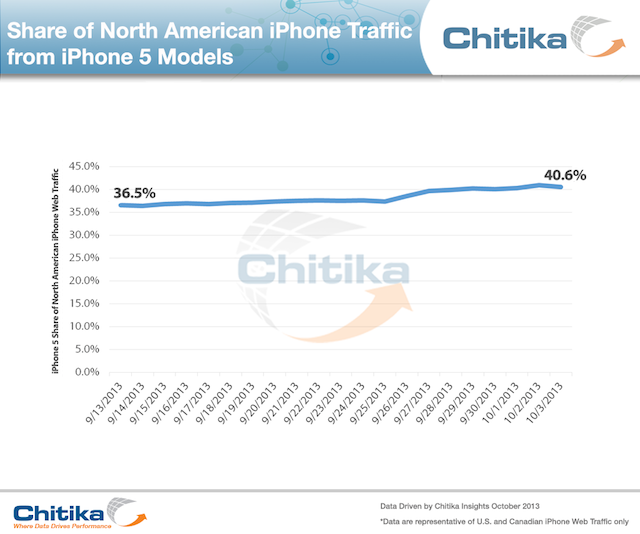 In a separate study, Chitika took the share of North American iPhone traffic under its loop, which is interesting from the perspective of the recent launch of the iPhone 5s and iPhone 5c. We have previously reported that the iPhone 5s is outselling the iPhone 5c, but how does the iPhone 5 stack up compared to the recently released models in terms of web traffic? Chitica has the answer: according to its study, conducted between September 13 and October 3, the iPhone 5 accounts for 40.6% of all North American iPhone web traffic.